Changes to organic reach and the implementation of algorithms that required more paid ads to reach users began to make businesses question if Facebook was still a key tool for their marketing. Couple that with the influx of fake news stories being shared in the 2016 election and the Cambridge Analytica scandal bringing about privacy concerns for users, and more questions arose about Facebook and the viability of its use as a business tool. Despite these concerns, thanks to responses by Facebook and businesses working within the platform, statistics still show that it is the most popular social network with almost 205 million monthly active U.S. users as of October 2018 (with 220 million projected by 2020) and more than 2 billion active monthly users worldwide, proving it still remains an important tool for businesses to attract and maintain customers. It is also still a prime source of information for users, with 68% of American adults in September 2018 saying they occasionally got news on social media, which was the same share as in 2017, showing that it is still a highly accessed resource. People may question the information they read more than in the past, but they still expect to receive information and stay up on current events there. 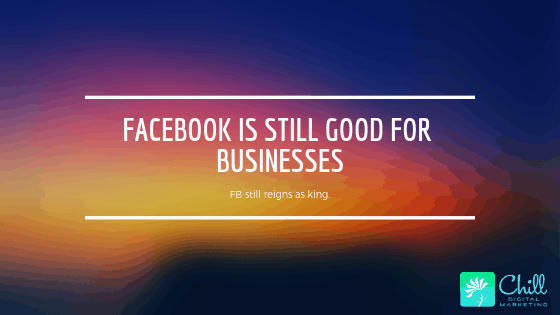 With the strong usage statistics and new strategies for businesses to take, there are still so many benefits to using Facebook for business that make it a key component to your business marketing strategy. For one, the advertising capabilities allow you to reach your target demographic easily. Even though it may come with a cost, you can still zero in on users that match your target audience to help generate leads and sales. By selecting the length, location and demographics of your audience, you can run campaigns and analyze results that can help tailor your marketing for the future. It is important to allocate a budget for advertising on your business and to do split A/B testing to see what results have the most impact for your business. 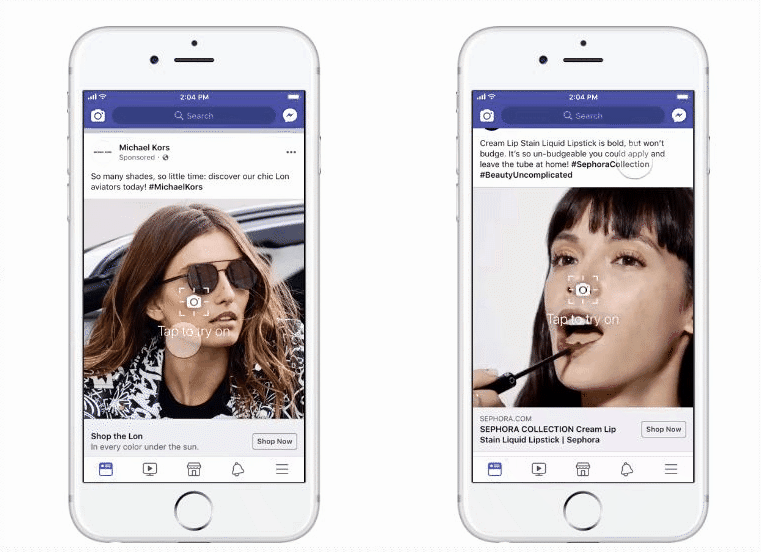 For 2019, Facebook will be offering playable ads (try before you buy) and augmented ads, offering users the chance to interact and visualize different products, using cameras to try items on, providing a more personal experience for customers. Facebook Messenger provides an easy alternative to email marketing to reach customers, and chatbots make keeping up with responses easier than ever. Customers are more comfortable chatting with a business online than calling, and this provides an easy, quick way to constantly be available and interact with potential and current customers. Video is also important, as almost 60% of users prefer to buy a products showcased by a video. In 2019, videos could account for 85% of all internet traffic. Videos provide more dynamic content for your viewers and provide information still images cannot. Even though it is still a key piece of a business strategy to have a Facebook account, the rules of engagement have changed due to the privacy issues over the past few years. There are several aspects that a business must consider with their strategy in light of the new playing field. Audiences are demanding more transparency, accuracy, and consideration of their privacy, and businesses must adapt to stay relevant. A big factor businesses must all consider is trust. 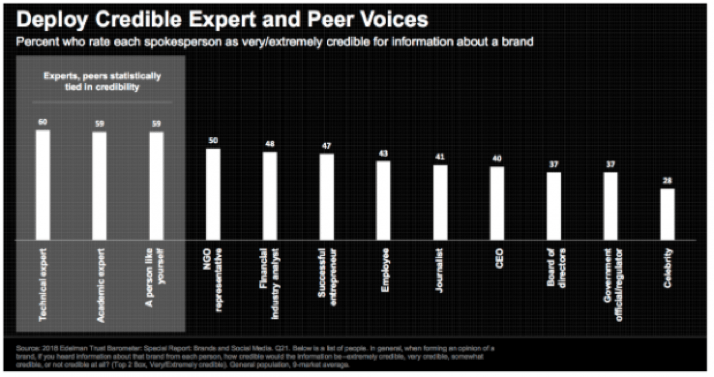 Brands are focusing less on the number of people they reach than on the quality, transparent engagement that they have. By creating small groups of influencers, a community can be formed that keeps like-minded customers interested in the same product and able to see from peer-interactions the positive impacts the products can have. With algorithms changed to show greater content from family and friends than businesses, it made these personalized shares more important. This means, in addition to a Facebook Business Page, creating a Facebook Group is a good strategy, as it allows superfans to chat with each other about your business in-depth. There is also great networking potential as you can connect with your members and create a referral network. It is also important to keep your brand awareness through strong Facebook Recommendations. In addition to five star ratings for your business, reviewers can post photos and tags to your business directly, drawing in others that may be interested. 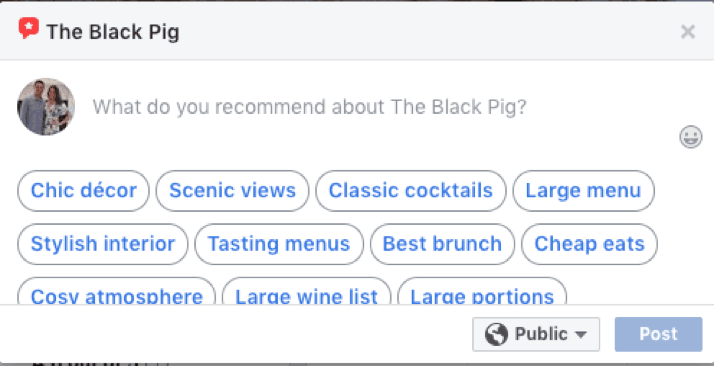 These recommendations extend across Facebook when anyone searches your business, helping draw in new customers. Another piece of keeping trust can be built by Facebook Live, by interacting with your viewers directly. Providing a Q&A will help them to have direct access to you, and answer any lingering questions they may have. Providing a behind the scenes look at your business is a new, fresh way to utilize Facebook for both trust and engagement. From its evolution over the years, the one thing that’s constant with Facebook is that there is constant change to the platforms. With differing uses by the public, businesses too must adapt and make the most out of the offerings available to potential and current customers. As security and credibility continue to be at the forefront of the platforms focus, businesses can utilize the changing tools and adapt to new algorithms to stay relevant on the world’s most popular social network.